Using a broom or a brush to clean leaves from the yard or the flower bed can be a daunting and physically exhausting task, no matter how small the area. What you need is a tool that can perform the task in a fraction of the time and save you the energy and time. Hence the leaf blower. Cordless leaf blowers are ideal for covering a large acreage due to their portability and sheer power. Corded ones, on the other hand, offer simplicity in use and design allowing one-handed operation for extended use. As you try to settle on the most suitable one for your needs, keep in mind other key aspects such as comfort and versatility. In our reviewing and constant interaction with leaf blowers, we have never encountered a more practical and more powerful electrically-powered leaf blower than the Worx WG520 Turbine Leaf Blower. The leaf blower produces a powerful stream of air capable of getting under leaves, lifting and moving them forward irrespective of their density, dampness, and level of entanglement. With an approximate weight of 6.5 pounds, the Worx WG520 is nearly two pounds less heavy than its closest competitor and will considerably reduce strain on the arms ensuring long hours of extensive use. 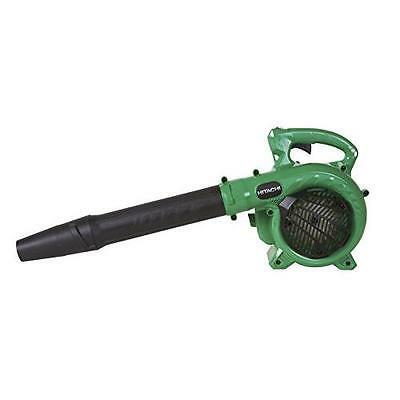 With this blower, you will not find large yards intimidating. 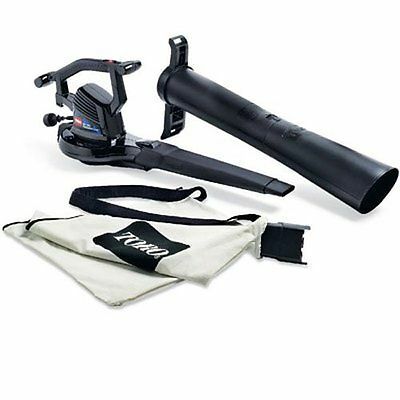 Veteran Do-It-Yourselfers and first-time users of a leaf blower will have an easy time using the it, as it is straightforward to use. The ease of use is partly due to the inclusion of a variable speed control that is manageable with either hand. Similarly, because the speed control is variable, you have the ability to adjust the speed of the airflow to suit different circumstances. Forest beds, for instance, will require a stronger airflow than flower beds. Easy access to hard-to-reach spots is made possible with the novel wide-mouth design of the tube. It is reasonably priced for a leaf blower with its capabilities. The comparatively low price of around $60 can partly be explained by the fact that the leaf blower lacks leaf mulching capabilities. The disadvantage of lacking leaf mulching ability is that you may have to spend more time interchanging between mulching and blowing tubes. In spite of the drawback, owing to its ingenious airflow design, is capable of forcing air in a streamline wave thus delivering dependable and powerful results with a maximum of 600 cubic feet per minute of air volume. Its general performance is quite impressive. In addition to moving 600 CFM, the leaf blower can blow leaves and other debris at a maximum speed of 110 mph. 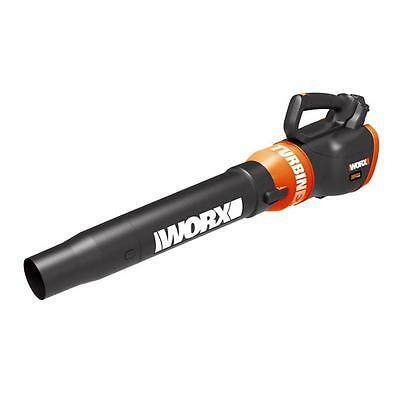 In all, you can never go wrong with the Worx WG520 Turbine Leaf Blower, particularly as it is light and comfortable to use just one hand to control the speed. 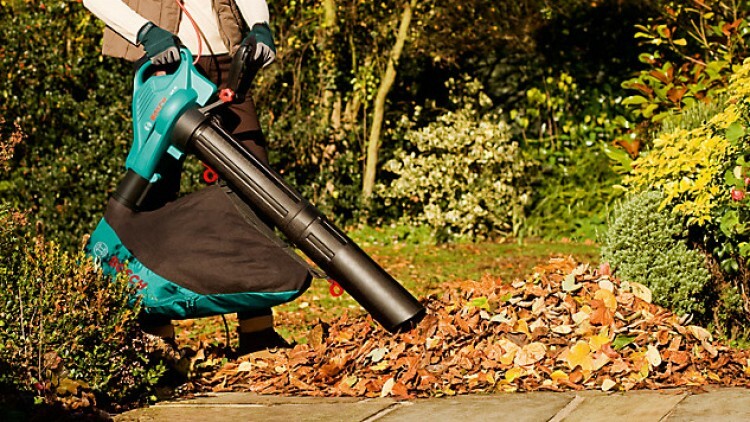 This electrically-operated leaf blower comes with impressive power to furiously blow leaves. You will, however, need to separately buy an extension cord suitable for outdoor blowing. And did we mention that it is quite affordable? Plus, it comes with a 36-month limited warranty from the day of delivery. 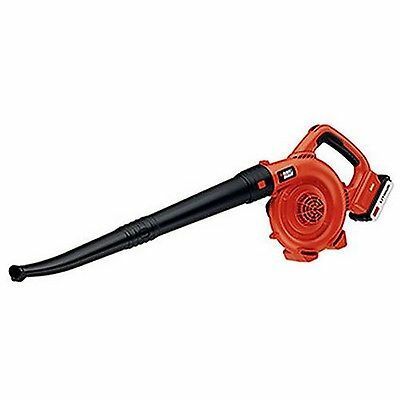 The Black & Decker BV6600 High-Performance Blower/Vacuum/Mulcher is highly recommended for individuals who spend a considerable amount of time blowing leaves from flower beds and therefore in need of a leaf blower with vacuuming, blowing and mulching capabilities. While its design makes it a lot easier to access tight spots, it has considerably less power compared to the Worx WG 520 implying that you will spend more time blowing leaves from a large lawn. Nevertheless, the Black & Decker BV6600 High-Performance Blower/Vacuum/Mulcher packs several interesting features that set it apart from the other leaf blowers. The leaf blower comes with a reducer and oscillating nozzle as well as a leaf scraper, all of which attach with relative ease on the tail of the blower tube. The nozzle reducer ensures a pinpoint precision. The Black & Decker BV6600 features a beautifully and ergonomically designed handle and better balancing for increased and easy manoeuvrability together with a relatively smaller blowing tube. Furthermore, the leaf blower offers more precision required for blowing leaves around delicate flower beds. As already mentioned,it combines three different tasks into one. Other than being a blower, you can easily convert it into a vacuum or shredder to assist you in gathering and cutting up leaves, making the leaf blower a useful tool for reducing the bulkiness of waste. The leaf blower has a 12-amp motor capable of achieving a top speed of 250 mph. You have the option of using the variable speed control to adjust the velocity according to your circumstances. With a mulching ratio of 16:1, it can reduce 16 bags of waste to just a one. It is worth mentioning that the Black & Decker brand recalled the blower in 2016 to fix the constant falling off of its fan cover, which would expose the leaf blower's mulching fan. In case you are already an owner, we highly advise that you contact the company for a fan cover replacement. Corrected models come with a sticker with the words "Type 2" written on it. 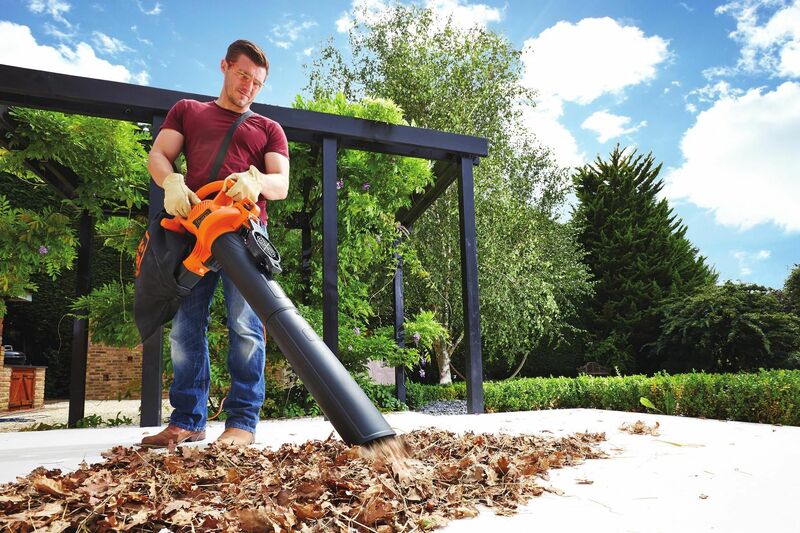 To summarize, the Black & Decker BV6600 has with leaf-shredding abilities for condensing waste and while the vac feature greatly assists in gathering leaves, leaving your yard sparkling clean and tidy. While it lacks the blowing power of Worx WG520, it offers the delicate and precise touch needed in flower beds. If you are looking for a leaf blower with a lightweight and compact design and perfectly balanced and comfortable to use for an extended period without experiencing fatigue, look no further than the Hitachi RB24EAP 23.9CC. In light of its remarkable balancing and lightness, the Hitachi RB24 EAP is an ideal leaf blower for performing small tasks as well as heavy-duty leaf blowing. The thoughtful design of its handle makes it comfortable to operate. The motor provides adequate power to ensure a smooth and flawless operation. With blowing speeds of 170 mph and about 441 cubic feet per minute of air volume, Hitachi RB24EAP demonstrates a rare ability to reach even the tightest spots in your yard or garden. The leaf blower is perfect for a multitude of projects such as removing grass trimmings from the road surface. The ergonomically designed handle fits firmly and perfectly in the hands giving you a good feeling. The leaf blower weighs a mere 8.6 pounds and comes with a dual-functioning throttle lever to assist with manoeuvrability and to provide cover to its various controls. The Hitachi RB24EAP additionally has an auto-return stop switch that promptly gets the motor running thereby saving you the time you would have otherwise spent yanking at a string to get it started. If you are one of those individuals concerned with protecting the environment against harmful gas emissions, you will be pleased to note that the Hitachi RB24EAP has the least emission among all leaf blowers. Considering that the leaf blower has an industrial-grade 23.9cc engine with a Pure Fire technology, you can enjoy fast accelerations for speedy project completion. The engine has an efficient cooling mechanism which, other than reducing the rate of fuel consumption, also does a good job keeping the engine running for longer. Additionally, Hitachi RB24EAP has the least possible negative repercussion on the environment as it uses fuel with the least concentration of ethanol, thereby significantly reducing the emission of the environmentally harmful carbon monoxide. The dependability and high-quality construction of the Hitachi RB24EAP are further demonstrated by the fact that the manufacturer offers a 7-year warranty with every purchase. You may however not get to use the warranty as leaf blower is constructed with superior materials, providing it with a lifetime of durability. In all, the Hitachi RB24EAP 23.9CC comes with a powerful motor and is additionally lightweight and easy to control. Its lightness, perfect balancing, and impressive performance ensure you use it for longer. This is an excellent leaf blower, demonstrating an ability to deliver high speeds and more air volume to guarantee the speedy conclusion of a leaf cleaning exercise. The Remington Company is renowned for coming up with high-grade and low-cost products. The Remington RM125 is an epitome of simplicity and excellent performance, as evidence with its quick start technology guaranteeing you a prompt and hustle-free start. The variable speed control features easily allow you better control over such important aspects as performance as well as the direction and speed of airflow. The compact and lightweight design of the tubes brings the total weight to 11.75 pounds which is not so heavy as to compromise its otherwise effortless handling and maneuverability. The heavy weight of the Remington RM125, however, can be explained by the fact that it incorporates both blowing and vacuuming functions, made possible with the inclusion of dual tubes that eliminate the need to shift between the two modes. Following these additions, the manufacturers had to compromise on power for the sake of convenience. It is a more powerful, gas-operated leaf blower and a far better alternative to cheaper electric models. The leaf blower comes with a 3.5-ounce oil container enough to hold one gallon of gas to ensure prolonged use. With its 2-cycle, 25 cc engine, the leaf blower can effortlessly reach its maximum blowing velocity of 180 miles per hours during which it will be moving as much as 400 cubic feet of air per minute. Evidently, despite being a budget pick, its performance closely rivals that of more premium priced models. The secret behind the outstanding performance of the leaf blower is the consistency and reliability of its 25cc, 2-cycle engine and its ingenious design. It provides with full control by featuring a variable speed throttle. The leaf blower is maximized for outdoor leaf blowing considering that it runs on gas. Since it is gas-operated, the leaf blower ideal for both light-duty and medium duty tasks especially in expansive areas where access to a power socket is problematic. The only major drawback is the difficulty in getting it started, in spite of coming with a QuickStart engine. Nevertheless, the problem is not isolated to the Remington leaf blowers, as evidenced by reviews given by customers using other leaf blower models. 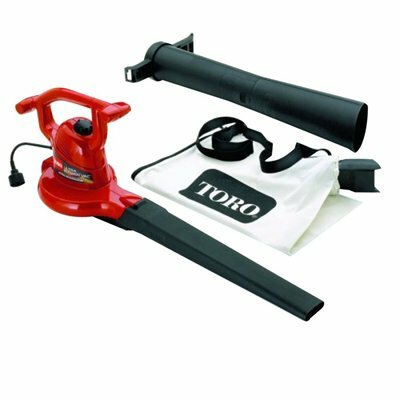 Not only is the Toro 51619 cost efficient, it additionally packs all the essential features in a leaf blower, offering you a smooth and clean operation. The leaf blower is capable of successfully tackling a multitude of tasks in your yard and lawn. Expectedly, its primary function is blowing leaves. Second, it has vacuuming abilities and can similarly collect leaves into a bag. Lastly, it can shred leaves so as to reduce their size. The capacity to roll together three different functions considerably eases yard and lawn maintenance, especially since the Toro 51619 is easy to handle even for beginners. The Toro 51619 has three different tubes for specific purposes, and you can switch between the three with a simple button without the use of any additional special tools. You are further accorded the freedom of dictating the speed of airflow using a variable speed control. Consequently, you can choose any speed between zero and a maximum of 250 miles per hour. All you have to do to change the speed is adjust the associated accordingly. Needless to say, delicate operations such as blowing leaves from flower beds will necessitate the use of slower speeds while the opposite is true for forest beds with matted, damp and dense leaves. With a top speed of 250 miles an hour, the Toro 51619 smoothly moves a maximum of 410 cubic feet per minute of air volume. It features a long-lasting metal impeller that performs an impressive job mulching debris and in the process reducing its size by nearly 90 percent, making it easy to dispose of. Going by reviews on Amazon.com, the Toro 51619 registers exceptional performance at all three functions. IT also comes with an oscillating nozzle that ensures you use way less effort in performing the three different tasks offered by the leaf blower. The oscillating nozzle works by giving you a broader clearing power, leading to a drastic reduction in the duration you spend blowing away troublesome leaves. Even the most solidly built and high performing tools have one or two drawbacks, and the Toro 51619 is no exception. The fact that it is electrically-powered means it comes with a cord, which adversely limits its portability. Hence, it is not ideal for outdoor projects lasting a considerable duration. The Greenworks 24012 7-Amp has a powerful motor rating of 7-amps and capable of running at impressive speeds of 160 miles per hour. Other than offering you reliable performance and dependability, the Greenworks leaf blower is also environmentally friendly as it is an all-electric operation running on a much safer energy source compared to gas leaf blowers. As a result, you will be able to quickly and safely finish your projects without compromising the environment through the emission of toxic carbon monoxide. Also, you will not have to deal with the cumbersome problem of getting the correct ratio of oil and gas as is the case with gas-powered leaf blowers. Hence, the Greenworks leaf blower provides you with a cost-effective alternative to cleaning up and removing pesky debris from your yard and lawn. Apart from the robust performance of its all-electric 7-Amp single speed motor, the blower can produce air volumes of up to 150 cubic feet per minute of air volume. Additionally, it comes with an incorporated cord lock whose purpose is helping you avoid the likelihood of damaging any power sockets as a result of accidentally tugging or pulling on the cord as you work. It also ensures your tool has a consistent supply of power throughout your project. It features a long-lasting construction and powerful performance which makes it perfect for a multitude of projects around the house. Even for individuals with considerably larger yards covered with leaves, the simple design and top-notch performance of the motor makes blowing away the leaves feel like a breeze. It has a lightweight and compact design and a weight of just 4.5 pounds which allows you to use it for an extended period without worrying about suffering from fatigue or straining any parts of your body. With a maximum decibel level of 97, it is considered relatively less noisy in comparison to most leaf blowers in its price range and with similar specs. Quietness is an important factor to consider before purchasing leaf blower, considering that many cities have strict restricting the level of noise products can produce. In all, with a top speed of 160 miles per hour, the Greenworks leaf blower is an ideal tool for blowing or collecting leaves from different surfaces such as driveways and flower/forest beds. Being electrically-powered, it is environmentally friendly and produces almost no toxic carbon monoxide fumes. And it goes without saying that the grip of the leaf blower features an ergonomic design and therefore enhances your comfort for prolonged use. The design of the Black & Decker LSW20 makes it an ideal leaf blower for getting rid of grass trimmings, sand, dirt and other types of debris from solid surfaces. Handling and maneuvering the Black & Decker leaf blower with just one hand is quite stress-free as it comes with an ultra-light body weighing a surprising 3.7 pounds. Coupled that with the slip-resistant properties of the grip and comfortable ergonomics and you have a tool that perfectly exemplifies the success of the Black & Decker brand’s expertise and adeptness in manufacturing powerful, versatile, and high-quality products. Plus, the compact design of the leaf blower increases storage convenience. The engine of the Black & Decker is powered by a battery, eliminating the need to mix gases and oils in a particular ration, and thus ensuring it runs quietly without emitting any environmentally-destructive gases. The absence of an electric cord is a huge plus since you will be able to enjoy the overwhelming portability of operating a cordless leaf blower, giving you unprecedented freedom to move as much as you'd like. Attaching the nozzle is quite an effort as it offers a straightforward and uncomplicated assembly. It is surprising that with just 3.7 pounds in weight, the leaf blower is capable of blowing air at 120 miles per hour, which is perfect for tidying up patios, sidewalks, and garages, among other hard surfaces. It offers easy, fast and thorough blowing at modest speeds thereby preventing sweeping away gravel and mulch in the process. You can use it to clean gutters as its light, and compact design plus the nonexistence of a cord makes it easy to control and maneuver. With its 120 miles per hour speed, it will be quite hard to use the Black & Decker to round up leaves to form a pile, or move sticks. While the built-in scraper can provide significant assistance in loosening damp and wet leaves, the power is not enough to perform more demanding errands. The most noticeable drawback is its 20-Volt Lithium-ion battery that can last for a maximum of fifteen minutes of nonstop blowing. You may want to buy a couple more to keep handy in case one runs out. 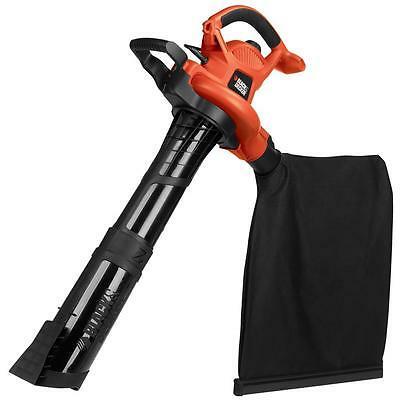 In all, the Black & Decker LSW20 is a lightweight leaf blower maximized for removing pesky debris such as grass trimmings and leaves from solid surfaces. With its weight of only 3.7 pounds, the Black & Decker is one of the lightest and easily maneuverable leaf blowers you can use for extended duration with relative ease. Nevertheless, the battery needs to be enhanced to offer additional run time. Extensive acreages filled with exceptional trees and other plants call for the use of an equally excellent tool that provide the kind of speed and performance that is mostly lacking in handheld leaf blowers. And the answer is found in the Husqvarna 350. The raw ruggedness of the makes it an ideal leaf blower for more demanding tasks and its performance is further boosted by its ease of use and comfort. It comes with one of the most fuel efficient engines for a leaf blower, allowing you to cover additional acreage when you start out with a full tank.The Husqvarna 350 BT weighs an astounding 23 pounds but comes with padded straps that efficiently distribute its weight on the shoulders to reduce the onset of fatigue and therefore significantly extend the duration of usage. Additional features that help with weight distribution and increase ease of use are the leaf blower's adjustable handles and hip belt. The hip belt is particularly useful where there is a need to scale steep surfaces such as hills and walls as it perfectly distributes the weight between the shoulders and the hips. Coming with a cruise-control feature, users can conveniently dictate the speed of airflow to match the needs of various settings. The beauty of the cruise-control feature is that it allows you to maintain your preferred speed settings for as long as you want, making it unnecessary to keep readjusting your settings. Consequently, moving loose leaves from flower beds will be more efficient with lower speed settings compared to moving heavier debris from the floor of tree-filled yards. 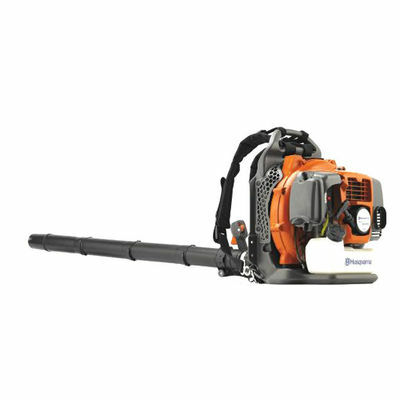 In spite of its size, the Husqvarna 350 BT effectively blows away wet and damp leaves and other debris from your yard leaving it green and litter-free. As is the case with all leaf blowers, it has its fair share of drawbacks, the most conspicuous of which is noise. The leaf blower produces uncomfortably loud noise that may necessitate the use of ear protection gear. As far as value for money goes, Toro 51618 offers the most exceptional performance by bundling together all the important features consumers look for in a leaf blower. The leaf blower combines blowing and vacuuming tasks. Switching between these two modes is quite easy as the leaf blower comes with two separate tubes each modified for optimal performance. The leaf blower also comes with an electrically-powered engine with a 12-amps motor that effortless attains its maximum speed of 230 miles per hour in a matter of seconds. It's suited for a multitude of projects you might throw its way, be it blowing wet, damp, and matted leaves among other debris. For extraordinary performance, the leaf blower is fitted with a large metal impeller to give it additional power, thereby increasing its mulching capabilities. The leaf blower is capable of shredding leaves and other wastes and in the process reduce their size by approximately 89 percent, saving the user both time and space. 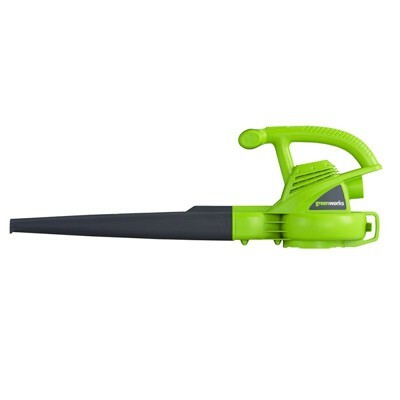 It is unmatched in its vacuuming effectiveness as it is equipped with a concentrator nozzle for directing airflow pressure to completely and quickly remove that pesky debris from your garden or yard. As already mentioned, switching between vacuuming and blowing is incredibly easy with the inclusion of a convenient quick release latch. To even more versatility, the leaf blower if fitted with a variable speed control that works great on both vacuuming and blowing modes, making it possible for you to control your power usage efficiently. Furthermore, with its ultra-light and compact design, the leaf blower is easily maneuverable, allowing to hold the handles at positions that most suit you. Getting it started is a breeze because all you have to do is push a button. It produces minimal noise and provides with a maintenance-free operation. Lastly, it comes equipped with two additional inserts. Sliding either into the blowing tube makes it possible for you to select between a broader air path for broader clearing path or a smaller air path to concentrate blowing on to specific areas. The one main drawback, which in our opinion is not exactly a deal breaker, is that being electrically-powered, the leaf blower has an electric cord that is quite cumbersome to work with. Luckily, the leaf blower is equipped with a cord lock that reduces the cumbersomeness. There is also a cord hook that holds the cord, preventing it from entangling with the leaf blower when you are not using it. The Greenworks Pro GBL80300 is a perfect alternative to under powered leaf blowers and those with short-lived batteries. The leaf blower demonstrates remarkable abilities in blowing, handling, and simplicity. 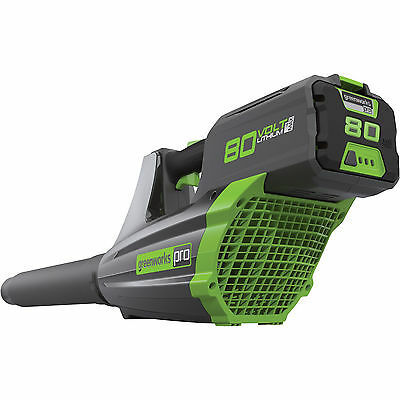 The Greenworks Pro GBL80300 can effortlessly reach speeds of up to 125 miles per hour, moving approximately 500 cubic feet of air per minute in the process. It's powered by an 80-Volt Lithium-ion battery and a brushless motor that offer you a run time of up to seventy minutes depending on use, which is more than adequate for performing a variety of tasks around your yard and lawn. The advantage of using a leaf blower equipped with a brushless motor is three-fold, offering you a quiet and convenient operation, additional torquing, and extended shelf-life. Being battery-operated, the Greenworks GBL80300 lacks an electrical cord, which is a huge plus, allowing you easy and unhindered movement around the house or outdoors. The GBL80300 is likewise environmentally-friendly, producing considerably lower levels of noise at only 60 decibels and no environmentally destructive gases as is the case with gas-powered leaf blowers. It is also unmatched in versatility, coming with three-speed settings that you can adjust in accordance with the demands of your lawn or yard. A tree-filled backyard, for instance, will require high-speed settings so as to loosen wet, damp, and matted leaves on both hard and soft surfaces. Low settings are ideal for performing intricate errands such as ridding flower beds of leaves. The ergonomic configuration of the handle and the leaf blower as a whole creates a perfect power-to-weight ratio ensuring the tool is easy and comfortable to use for extended durations without getting one's hands, arms, or shoulders sore. Plus, there is virtually no discernible vibration. The axial design of the Greenworks Pro GBL80300 significantly improves power output, offering all the desirable advantages associated with gas-powered leaf blowers, obviously without the drawbacks of cumbersome maintenance and mixing oil and gas. The two most essential performance pointers to look out for in a leaf blower are airflow and speed. The flow of air through a leaf blower’s tubes is measured in cubic feet per minute, an indication of the quantity of debris the tool is capable of blowing in a minute. Leaf blowers with a higher CFM are typically more powerful. Conversely, air speed is a measurement of the distance and speed at which the leaf blower can blow leaves and debris, and is measured in miles per hour. An excellent leaf blower is one capable of indoor and outdoor tasks and with a variable speed control to allow you set a suitable speed in accordance with your circumstances. Since leaf blowers are either handheld, wheeled or strapped on the back, it is important that they are as light as possible. Typically, electrically-powered leaf blower as much lighter than their gas-powered counterparts since they lack extra weight that comes with gas engines and the fuel itself. More consideration needs to be put into handheld leaf blowers since their weight is endured by the arms and hands. Their backpack counterparts, on the other hand, use straps and waist belts to evenly distribute the weight on the back, shoulders, and upper arms. The design of an exceptional leaf blower needs to give you the feeling that the tool is a natural extension of your body, conforming completely to one’s working pose. You should desist from using a tool that is too heavy as it can compromise your productivity, cause fatigue, or worse, cause injury to your hands or shoulders. The intensity of vibrations should either be indiscernible or entirely non-existent. The design of the grip handles should increase comfort and have a nice feeling. Q: How do I stay safe when using a leaf blower? A: Irrespective of the type of tool you are operating, it is prudent to always wear protective gear. Some of the steps you can take to secure your safety are to use ear plugs to protect your ears from any loud noises produced by the tool, eye protecting goggles, as well as gloves. Do not forget closed shoes and tight clothing, preferably a work overall. Using leaf blower to clear pavements and other open places of leaves might create a dusty atmosphere. Q: What does cubic feet per minute mean? A: Cubic feet per minute is simply a unit for measuring airflow. It is a description of the movement of a particular volume of air within a given period. Concerning leaf blowers, CFM is an indication of the amount of air that can be moved within a minute. Leaf blowers capable of moving more air have bigger volumes, which implies they can move considerably more leaves than blowers with a lower CFM. Q: Are brushless motors better than standard ones? A: Yes, they are. Compared to standard or conventional motors, brushless motors offer additional runtime by reducing heat loss through friction, concentrating the available quantity on blowing, vacuuming, or mulching. Secondly, with as much as 50 percent energy saving on particular projects, brushless motors increase your speed and productivity in the long run. Most importantly, a brushless motor has a lightweight and compact design thereby reducing the overall weight of the leaf blower. Consequently, you can work on your projects all day without experiencing fatigue. 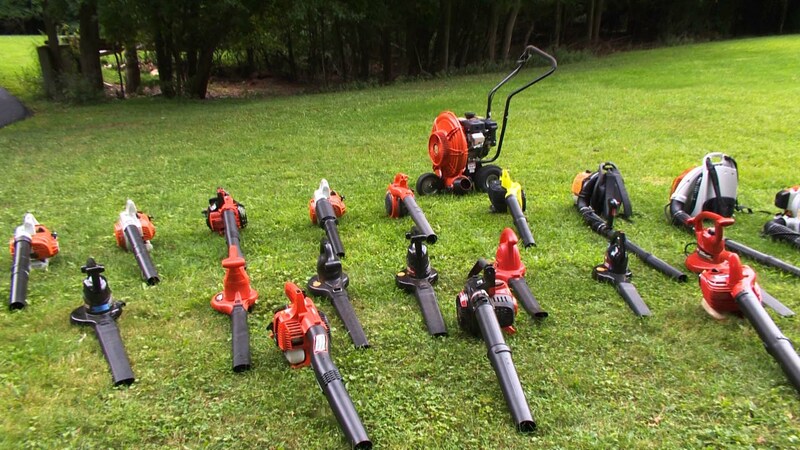 Whether you are out to purchase your first leaf blower or upgrade your existing one, you cannot afford to overlook some of the most important features that differentiate leaf blowers from one another. The manufacturer of your preferred model must have put considerable thought into its design with the aim of making it light and compact to save from the demoralizing effect occasioned by carrying a cumbersome and bulky tool. Neither should your mobility be limited to the point of compromising the quality of your work. You need also to note that there are significant differences in power output between gas-powered, battery-powered, and electrically-powered leaf blowers. Nevertheless, safety and performance should be at the top of your list of considerations. We wish you prudent and informed choosing.